P.T.P. – ‘Pinto Tourist Promotions’, can easily be called the ‘Premier’ Tourist Promotions or the ‘Pioneer’ Tourist Promotions establishment of Mangalore – because of our over 50 years of experience in owning and managing a fleet and organising transport in Mangalore. Because of our professional efficiency, unquestionable reliability, personal care and trustworthy service; we are relied upon by multi-national companies, governments and star hotels and also others who value our qualities. From providing bridal cars, cars of every variety grade and standard, to buses and every other form of transport, including helicopters – we are your ultimate transport providers. As our name suggests, we are here not only to make your transport needs, our business, but we also promote a social cause, namely – ‘Tourist Promotions’ of Mangalore, Karnataka and India. Why choose pinto tours and travel? Our regional experts have travelled in the region (Mangaluru) so you can be assured that your journey is safe and with loads of memories to take back home. 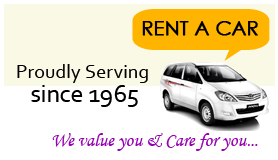 We have the best name for our service n yes you can completely rely on us considering you drive and tours. We are one of the oldest travel agency in Mangaluru and have the experience to make travel arrangements even in a short notice because this is our calibre. As well as offering a huge variety of destinations, our holidays range from our excellent-value small packages to luxurious packages. We believe that your holidays should be the best in life and we strive hard to keep up to your expectation. So here we make your dream voyage come true.